Hunting Dinosaures, mule deer, and pheasants in Malta Mt. 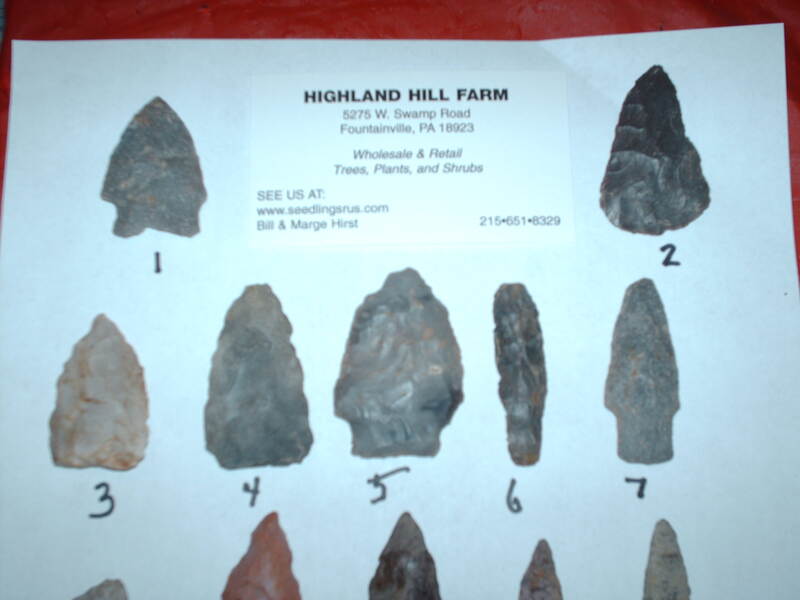 Hunt for arrowheads in Milan Pa.
Hunt for fossils in Milan Pa.
We invite our customers to explore for Indian artifacts, hunt, fish, camp, etc., maybe you can get lucky too. We have 5 properties, totalling 1100 acres, near the town of Milan, Pa, on the western side of Susquehanna River in rural Bradford County. From Highland Hill Farm it is about a two-hour drive if you'll please obey the speed limits.We also have thousands of acres of private lands across America ready for you to explore. The greatest find since the discovery of the Neanderthal Neandertal) Man and the Cro-Magnon Man in France was barely a few feet over the Italian side of the border with Austria resting at an altitude of 10,500 feet. A total of four books, two books popular enough to become paperbacks, have since been written about "Oetzi," or "Otzi," as the ice-mummy has been named. Uncovering the Life and Times of a Prehistoric Man Found in an Alpine Glacier, by Brenda Fowler, was published in 2000. The Man in the Ice was published in 1995, by Konrad Spindler, the local archaeologist brought in when it became obvious a modern-day murder victim hadn't been found. His book was updated in 2001. Two children's books have also been published to help develop their interest in historical science as something they'll find "current," and not "boring." The intense study of the "ice-mummy" yielding all the detailed information for these books was performed at Innsbruck University, and the body is now on display at the museum in Bolzano, Italy. America's prehistoric residents and later Native American Indians used straight branches from Arrowwood Viburnums, as the name implies, to make their arrows' shafts. Did you ever wonder at what point in their growth the outside of thin tree boughs and twigs develop bark and become wood? When do little seedling's stems, their "mini-trunks," grow up enough to develop bark and become wood? How thick does a green wispy thin twig have to become before it's a branch of wood? The answer is, generally, at about a half-inch diameter. In fact, that is just about the diameter of the Alpine Iceman's arrows. Do you see it? The point here is that when you get out and use your shoe leather, you are, in fact, helping discover the past and help all of us understand our common and uncommon links. 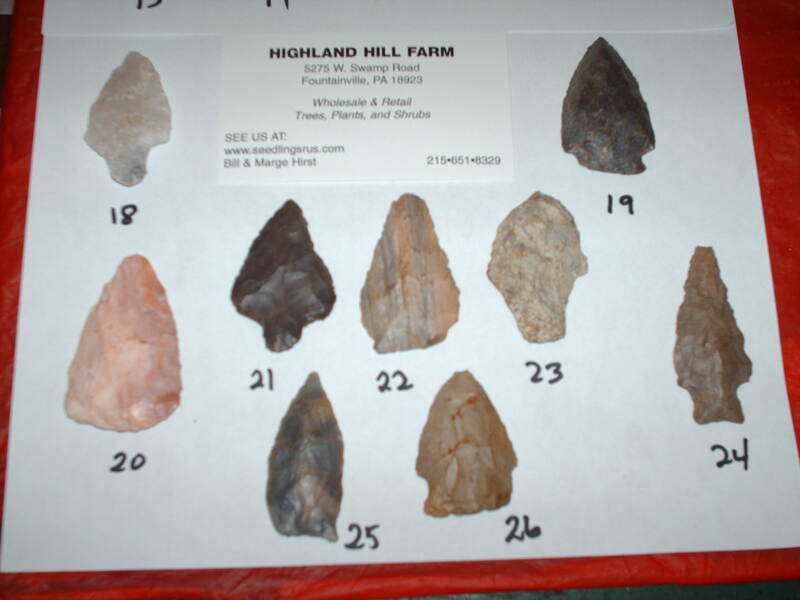 All that would have remained of Otzi in a few seasons he would be afew arrowheads lost in piles of rocks high up in the Alps. 1. 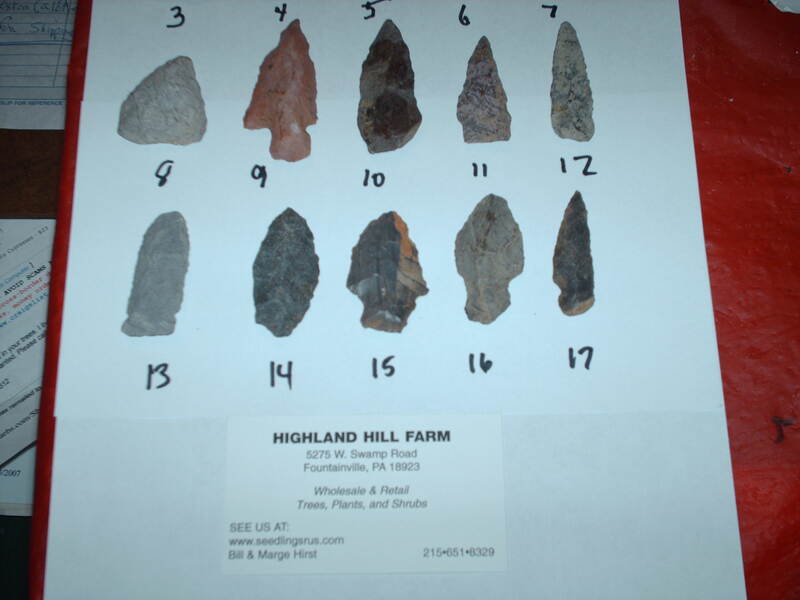 Arrowhead Hunting on our Milan Pa Farms We have 1200 acres in Milan Pa. Where we allow walking and digging for arrowheads for a fee. This was once the site of an Indian Village so there is material to be found. 8. More Items we got from hauling and cleanout jobs.... Furniture and other items at our Farm in Fountainville Pa.
9. Hunt Coyotes at our Milan farms in Bradford Pa.
10. Hunt Groundhogs at our Milan farms in Bradford Pa.
11. Saw Blades that we Sell in Fountainville Pa.
12. Deer Control Tags...Dmap Tags. 13. See Spiders on our plants. 14. Go Rattlesnake Hunting on our Ranches. Call us or stop in to see our natural rock for landscape design, architects, landscaping nurseries, and construction contractors. We sell these by the individual rock, car load, trunk load, half pallet or full pallet. Prices range due to shipping costs. Call us at 215 651 8329 for a price. We can drop off these pallets or you can pick them up.